I decided to do a photographic series called Channeling Gordon Parks (CGP)--inspired by the legend, himself. It captures the raw truths of America through my eyes-- the beautiful, and the ugly. Another aspect of the project is recreating Parks' raw images with a 21st century presence. The developing series has strong undertones of art & activism-- intertwining my experiences & beliefs, the definition of ARTIVIST as a theme & Gordon Parks as the catalyst. The comparison and contrast of our work depicts what he disliked about America during his time, proving that a lot of it still exists today. A few sample images in the series include modern-day recreations of Gordon Parks' images of Muhammad Ali. 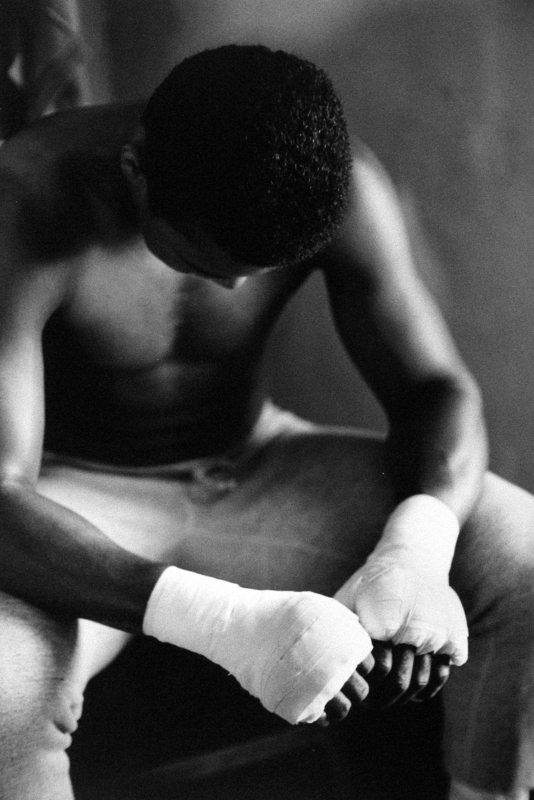 Like Ali, visual artists use their hands for the fulfillment of their purpose. The reenactments are expressions of an artistic champion. My work has been included in exhibitions at the Florida Museum of Photographic Arts, the Los Angeles Center of Digital Art and a group show at Soho Photo Gallery, July 8th - July 25th. My work will also be included in an upcoming show, Power, Protest & Resistance: The Art of Revolution at Skylight Gallery (an NYC exhibition by Rush Arts and Corridor Gallery). Stay tuned!